Alida Hudson is currently a Ph.D. student in Curriculum and Instruction with an emphasis in Reading and Literacy at Texas A&M University. She earned a Masters of Education in Reading from Sam Houston State University and a Bachelor of Science in Interdisciplinary Studies from Texas A&M University. Prior to becoming a full-time doctoral student, Alida taught in Texas public education for 11 years, including serving as a classroom teacher and reading specialist. During this time, Alida became an active member of TALE because of the professional resources and network it provides for classroom practitioners. Alida also serves as the chair for the TALE Communication Committee. Alida maintains an active scholarly agenda publishing and presenting at the local, state, regional, and national levels. Brad Womack lives in Amarillo, Texas where he just completed his twentieth year in education. Currently, he works with several different student groups at Palo Duro High School. He teaches ESL Reading I, Sheltered English III, and serves as the ESL Department Chair. He also teaches night classes at his school’s FLEX program which includes English I,II, III, and IV as well as Speech and other electives. In prior years, he has taught kindergarten, first grade, Reading Recovery, fourth grade, and ESL intervention. Brad is a Silver level Abydos writing trainer for his district and has also conducted writing institutes and ESL strategy workshops across the state. In addition, he presents professional development sessions for his district’s campuses and collaborates with teachers throughout the year. This spring at the Abydos Conference he received the Sue German Award, which is the highest award given. Also, Brad has been named his campus teacher of the year twice, as well as a finalist for Elementary Teacher of the Year for Amarillo ISD. He loves building relationships with his students from all over the world and learning about their cultures. Brad and his wife Suzy (who is also a teacher) have two grown children, Garrett and Hillary, and two fur babies, Teddy and Okie. Malene Golding is the Elementary Reading Curriculum Manager in Houston ISD, the seventh largest district in the nation serving over 215,000 students. She manages a diverse team of curriculum specialists who write unit planning guides, create formative and summative assessments, produce various instructional resources and provide professional development for English language arts, Spanish language arts, English as a second language, and special education teachers and students in her district. She has been a professional educator for almost twenty years in the state of Texas, teaching, coaching and managing reading and writing teachers, administrators and specialists along the way. This experience is anchored by a Texas Educator Certification in the following areas: Master Reading Teacher (EC-12), Reading Specialist (EC-12), English as a Second Language Supplemental (EC-12), Elementary Early Childhood (PK-6), Elementary Self-Contained and Elementary English. These certifications are coupled with a Bachelor of Science in Education and Master of Education in Reading and Language Arts Curriculum from the University of Houston. She is the sole proprietor of an independent education consulting business which has provided critical professional development in reading and writing instruction for universities, regional centers, districts and campuses alike. Simplifying reading and writing instruction for teachers and students is one of her passions. She is convinced that it is essential to create informational learning opportunities that are purposeful, but also engaging and fun. Rebekah E. Piper is an Assistant Professor of Literacy at Texas A&M University San Antonio. Rebekah earned her Ph.D. from the University of Nevada Las Vegas in Curriculum and Instruction with an emphasis in Literacy Education and Cultural Studies International Education Multicultural Education (CSIEME). Prior to earning her doctorate, Rebekah was a kindergarten teacher in Las Vegas, Nevada. When relocating to Texas to assume her faculty role, she learned of TALE and immediately became active in the work to provide teachers with access to quality professional development and professional networking to increase literacy development for all children across Texas. Currently, she serves as the Secretary for the TALE Board of Directors. Her primary research interests include pre-service literacy teacher education, children’s literature, multicultural education, identity development, and early literacy development. Dr. Piper teaches undergraduate and graduate course work in literacy education and serves her community by working with organizations that promote literacy and service. Codi Fowler-Freeman, M.Ed., is currently an adjunct professor at the University of Houston-Clear Lake. She also provides literacy staff development and curriculum development trainings to several districts across the state, additionally working one-on-one with teachers to improve instruction for student success. 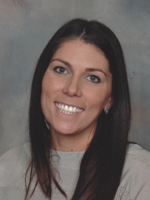 Over the past twenty years, Codi has been a classroom teacher, assistant principal, principal, district literacy specialist, and coordinator of English language arts. She was recently awarded the Dean’s Award for Exceptional Graduate Student Research from the Southwest Educational Research Association. Codi is pursuing her doctorate in educational leadership and curriculum from Stephen F. Austin State University. Laurie A. Sharp Laurie Sharp is currently the Dr. John G. O'Brien Distinguished Chair in Education in the College of Education and Social Sciences at West Texas A&M University. Prior to being in higher education, Laurie taught in public schools in Florida and Texas. Laurie is an active member in numerous professional organizations and special interest groups, including the International Literacy Association, Specialized Literacy Professionals, Texas Association for Literacy Education, Professors of Literacy and Teacher Education, and Association of Literacy Educators and Researchers. Laurie has received several honors for teaching and maintains an active scholarly agenda where she publishes and presents through numerous local, regional, state, and national venues on topics related to education and literacy.